Meltdown of Toshiba’s Nuclear Business Dooms New Construction in the U.S. The company said those projects will continue, but many energy experts believe Toshiba’s decision to cease building new reactors spells the end of any nuclear construction in the United States for the foreseeable future. Analysts doubt Toshiba will find a buyer for its Westinghouse stake, or any willing construction partners to move ahead with dozens of additional plants it had once planned. Toshiba’s dramatic exit from the business of building nuclear power plants lands another blow to a beleaguered sector, undermining new development and research on advanced reactor designs. After acquiring a majority stake in Pittsburgh-based Westinghouse Electric in 2006 for $5.4 billion, the Tokyo technology conglomerate had high hopes for rolling out a new generation of safer, smaller, cheaper power plants, as well as a series of streamlined full-scale reactors. Four of the latter are under construction in the United States, representing the only new reactors currently being built in the country. But the company was bedeviled by cost overruns, technical problems, conflicts with contractors, and regulatory challenges that set those projects back by years. Toshiba’s four massive nuclear plants now under construction in the southern United States are AP1000 pressurized-water reactors, which use a simplified design that was supposed to accelerate construction. But the Vogtle project in Georgia and the V.C. Summer project in South Carolina are both around three years behind schedule and, together, billions of dollars over budget. Toshiba’s struggles reflect the slow demise of nuclear power in much of the world (see “Giant Holes in the Ground”). The industry has been plagued by the rising cost of construction, the low price of natural gas, the Fukushima disaster in 2011, and the stricter regulations and souring public perceptions that followed. Germany is scaling down its nuclear program, engineering powerhouses like GE and Siemens have pulled back from the market, and France recently engineered the takeover of the nuclear giant Areva to rescue it after a series of stumbles. Many fear the slowdown will prevent nations from building enough capacity to avoid the growing risks of climate change. The International Energy Agency estimates that nuclear energy capacity needs to double by 2050 to keep worldwide temperatures from rising more than 2 °C. Absent a carbon-capture breakthrough or a miracle battery, there’s no realistic plan for cutting greenhouse-gas emissions fast enough without far more use of nuclear, says Steven Chu, the former secretary of energy and a professor of physics at Stanford. There is, however, something of a nuclear power renaissance under way in some parts of the world, including South Korea, Russia, India, and China. Worldwide, about 60 reactors are under construction and 160 are planned—enough to add almost half again today’s capacity, according to the World Nuclear Association. China alone is building dozens of conventional nuclear plants and forging ahead with advanced reactor designs in hopes of becoming the world’s leader in nuclear power. Westinghouse’s 1,100-megawatt AP1000 pressurized-water reactors were specifically designed to be safer and easier to build than traditional nuclear plants, in part by utilizing standardized components. But plant construction has been plagued by engineering setbacks as well as design revisions required by the Nuclear Regulatory Commission. Some issues probably stemmed from mismanagement. But MIT’s Golay says Westinghouse’s problems underscore intrinsic challenges for any company attempting to develop nuclear power in the United States, including a lack of institutional expertise after decades of little construction, rigid regulatory oversight, and shrinking appetites among investors. Getting nuclear projects moving forward again in the United States is likely to require some combination of supportive government policies and improved construction and deployment methods, says Mike Ford, a researcher at Carnegie Mellon who focuses on nuclear energy development. Twenty-seven years after the last Soviet nuclear test in the barren steppes of Kazakhstan, in an area known as The Polygon, the BBC has been to explore the terrible legacy. Q&A panel held after premier screening of ‘After the Apocalypse’. The panel included Baroness Helena Kennedy. Prof Thomas says that genetic science is not accurate anyway? Prof Thomas doesn’t comment on the enforced genetic passports?? Everyone else on the panel does. Prof Thomas says the incidence is of small incremental amounts but doesnt give a percentage..
Any percentage of millions/billions of people are huge numbers of personal distress and loss!! The director looks harassed.. the film has been taken off You Tube.. Prof Thomas blames alcoholism for the gross defects of bibgul and her mother..
And here is the original list of speakers, no Prof Thomas on this link as she replaced the genetisist! A film about aftermath of soviet era nuclear experiments, is set to premiere in the UK on May 11th at Princes Charles Cinema. and the missing scientist has shown studies that prove genetic damage. So Prof Yuri Dubrovna, the only person that could have argued against the idea that alcohol caused most deformities in babies was hastily replaced by a very pro nuclear industry supporter with proven deceptive qualities (see below). His absence was odd as he actually had on the ground experience in Khazakstan and would have countered many of the generalities that were talked about. Here is some of his work findings. so proving that the video of the question and answer session was staged like the BBC video means that there must be a reason.. I think it is to cover up what is to come in Kazakhstan. Eradication of imperfection. And the Rich and famous that support the regime need protecting from bad PR moments, like evidence of nuclear damage to humans. Might call into question the great green hope, nuclear. Lots of money was invested in nuclear as the markets crashed in 2008 and lots of money carried on being invested for another 3 years. Nuclear was the only sure investment for the corporations money and your pensions. After the nuclear tragedy in Fukushima Japan shares plummeted 40 percent in nuclear and I don’t think they are recovering. Only tax payer money is bailing the nuclear companies out. “Tony Blair secured a deal to represent Kazakhstan after meeting billionaire Labour donor Lakshmi Mittal in the corruption-plagued country, The Mail on Sunday can reveal. Steel magnate Mittal –who has given more than £4 million to Labour – sat next to Mr Blair at a meeting of powerful international businessmen in the Kazakh capital Astana in May. It was reported last week that Mr Blair had secured an £8 million deal to clean up the image of Kazakhstan. Mr Blair also visited Kazakhstan in 2008, and in 2003 Lord Levy went there to help UK firms win contracts. A spokesman for Mr Blair said last night: ‘Tony Blair has helped put together a team of international advisers and consultants to set up an advisory group for the Kazakhs, with a team of people working on the ground. “Kazatomprom’s goal is to collaborate with Russia to export nuclear reactors to third-party countries. It has already established Atomnye Stantsii, a joint venture with Russia that will design, build, and sell small- and medium-sized reactors. “One area that Blair conceded would be controversial is his support for investment, both financially and technologically, in the nuclear power sector. And this to show how close these countries are. The UK wants to use kazahkstan to bury the Waste of the UK very likely too. For years of independence the countries have established and consistently develop constructive political dialogue. Republic Kazakhstan and United Kingdom positions coincide on the majority of issue of the world politics. Forward development of bilateral political and economic cooperation between two countries is maintained by summit meeting talks. The President of the Republic of Kazakhstan N.Nazarbaev has visited the United Kingdom visits on four occasions. Queen Elizabeth II has awarded the President N.Nazarbaev with the Most Distinguished Order of Saint Michael and Saint George in acknowledgement of his merits for ensuring political and economic stability, setting law and democracy in Kazakhstan, non-proliferation of the nuclear weapons, and also for achievement of considerable progress in mutual relations. The following members of the royal family called on Kazakhstan with visits – the successor of the British throne Prince Charles of Wales (1996), Princess Anna (1993), the Duke of Gloucester (2000), Prince Andrew – the Duke of York, the special representative of Great Britain on trade and investments (2003 and 2006-2007), and also Prince Michael in September, 2009. On January 27-28, 2010 State Secretary-Minister of Foreign Affairs of Kazakhstan Kanat Saudabayev took part in International Conference on Afghanistan in London and delivered the speech as a Chairman in Office of OSCE at the Royal Institute of International Affairs “Chatham House”. On February 25-26, 2010 as part of Kazakhstan’s chairmanship in OSCE the Embassy of Kazakhstan in London organized at Cambridge University a briefing “Foreign Policy of Kazakhstan”. On July 16-17, 2010 Deputy Foreign Minister of the United Kingdom of Great Britain David Lidington took part in the informal meeting of the OSCE Ministerial Council in Almaty. On December 1-2, 2010 Deputy Prime-Minister of the United Kingdom of Great Britain Nick Clegg took part in the OSCE Summit in Astana. On November 29 – December 12, 2010 Embassy of Kazakhstan held a seminar “The new architecture of European security in the frame work of OSCE” at the Central Asia Forum at the Cambridge University in connection with the completion of Kazakhstan’s OSCE chairmanship. Cooperation between legislative bodies is important part of the bilateral strategic partnership of Kazakhstan and Great Britain. 2010 has been noted by the further activization of inter-parliamentary contacts. Since 2001 all-party group on cooperation with Kazakhstan officially operates in the Parliament of Great Britain. It is headed by a member of Chamber of Lords of Viscount Waverley since 2009. On February 8, 2010 there were hearings of deputies in support of presidency of Kazakhstan in OSCE. They noted high achievements of Kazakhstan in realization of economic and democratic reforms. On February 21-23, 2010 parliamentary delegation headed by Lord Waverley paid working visit Kazakhstan for signing the memorandum of understanding. Delegation had the meeting with Mr K.Tokaev Chairman of the Senate of Parliament, Mr K.Zhigalov Deputy Minister of foreign affairs and Mr S.Temirbolatov head of inter-parliamentary group of the Parliament. On May 3-11, 2010 parliamentary delegation of Kazakhstan headed by Mr A.K.Ahmetov chairman of the Committee on the international relations, defence and security of the Senate of the Parliament paid visit to Great Britain. In July 2010 Ambassador K.Abuseitov had the meeting with inter-parliamentary group of British Parliament. On July 22-26, 2010 Lord Waverley paid an official visit to Kazakhstan within the framework of realization of the signed memorandum. Members of British Parliament had the meeting with prominent representatives of political and business circles of Kazakhstan. Wilkinson S. 2010. Choosing Tomorrow’s Children: The Ethics of Selective Reproduction (Issues in Biomedical Ethics). OUP Oxford.. There is more Manchester connections on the link below connecting nuclear funding and research, scroll down the comments for UK university complicity in not trying to find the cause but just concentrating on a cure that corporations can make lots of money on. The corporations have upped the radiation dose allowable and plan on making money on the extra cancers caused while ignoring the causes of the cancers. Also, they ignore any other effects claiming that people only have psychological problems. So, to recap. We have the BBC trying to bring the “acceptable” face of eugenics into the public domain. The reason for this is generally unclear to most people. I believe that the cover up of the gulf disaster in the usa, the ongoing Fukushima nuclear tragedy in japan and the genetic passports and all that entails in Khazakstan have forced the corporations hands. They have brought out the “acceptable” face of the nuclear industry (Prof Thomas) usurping a balanced view from Professor Yuri Dubrova. Both events were overseen by Ogilvy and Mather PR and associates as in the USA and Japan and the connection and direction of all the media outlets comes from this huge marketing company. After the Apocolypse has the caught the corporations off guard and the reason for the eugenics debate is to smooth over the damage caused by the release of this information in this video. Some evidence of the heavy connections between politicians and big corporations is found on the above links. You will not have to look far to find more of the same. The UK university and health services should be ashamed of their support of bad science in favour of the huge funding increases. All independent research on the cause of cancer has been stifled at the same time. They want to treat everyone with radiation to make money not stop the cancers by finding the cause. South Australia to nationalise power market after private industry failures? The nation’s energy market operator is under pressure to fix its ­operations after revealing the key failures that triggered blackouts for 90,000 customers last week, during a heatwave that has escalated a political dispute over ­energy security. A report into the February 8 outages raises more questions about the rules ­applied to managing the nation’s electricity grid, including the challenge of making reliable forecasts for wind power generation. 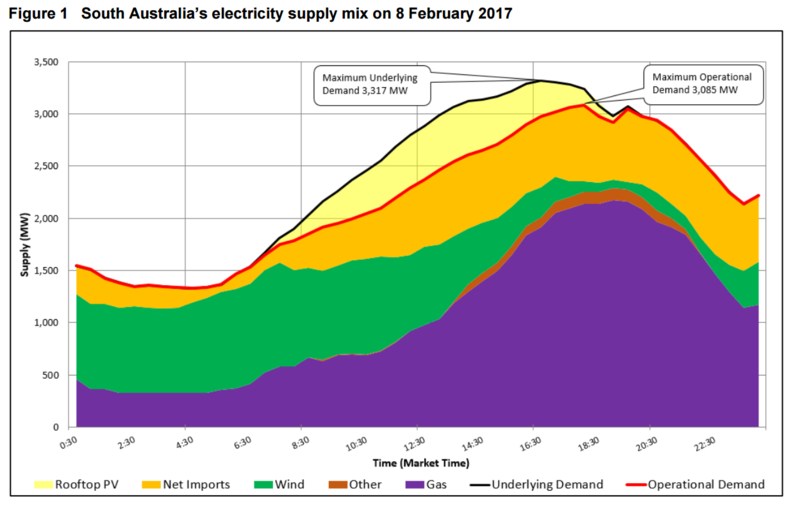 The Australian Energy Market Operator yesterday admitted outages across South Australia could have been prevented by faster action to bring on a gas-fired power station, calling into question the current financial ­incentives for conventional generation. 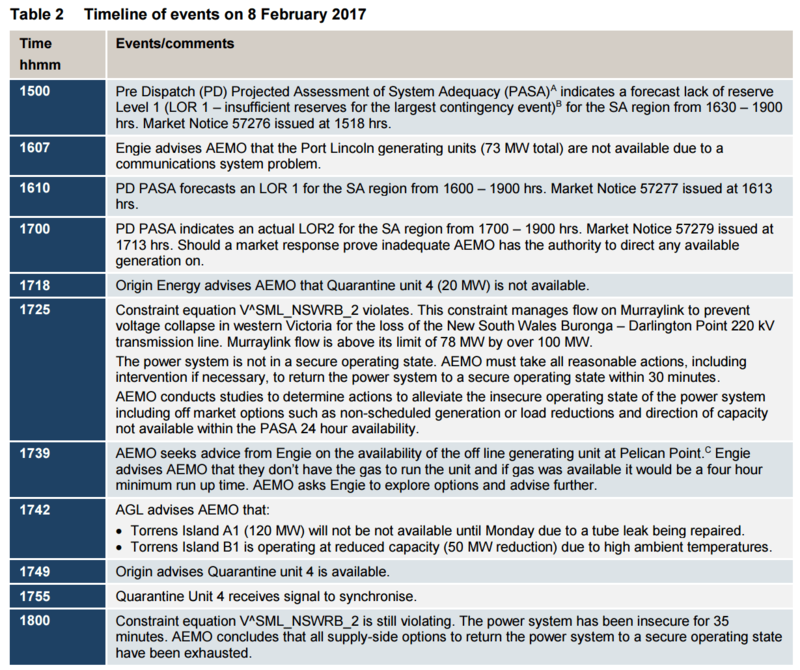 Politicians responded to the AEMO report by laying blame on the competing power sources, but the findings also deepen concerns about the way the network is run and how it can be overhauled to prevent a repeat of the outages. 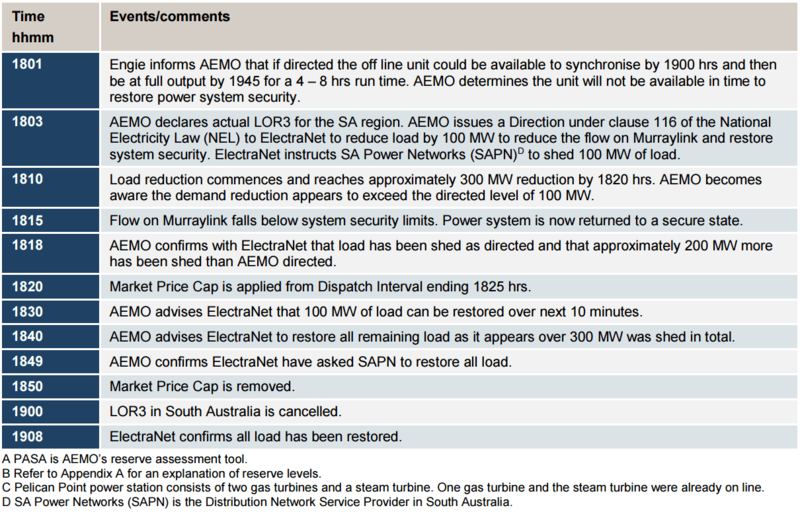 why did AEMO act so slowly from 1500 hours? when it did finally get around to Pelican Point, why did Engie say it would take four hours to light its second turbine? Gas turbines are usually only used as “peaking power plants” and can be switched on and off in minutes. That’s the point. another interconnector may solve the issues short term but you’re still exposed to the dodgy gas suppliers so how much storage is needed? 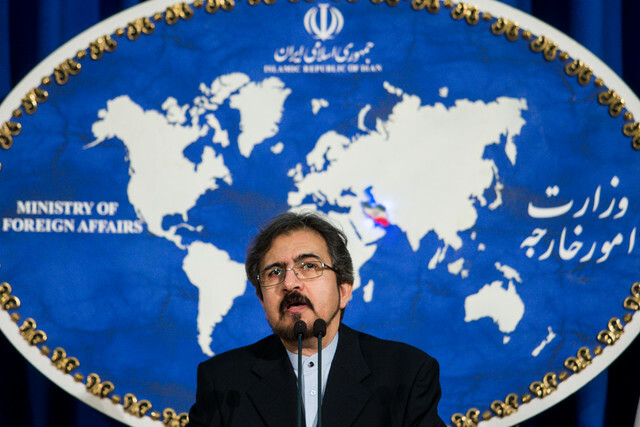 Iranian Foreign Ministry Spokesman Bahram Qassemi reiterated that Zionist regime’s nuclear arsenal is the biggest threat for regional and international peace and security. His remarks came after baseless allegations of the new US President and Israeli Prime Minister Benjamin Netanyahu in a press conference in Washington. He said that there are hundreds of warheads kept in Israeli nuclear arsenals which are the biggest threat to regional and international peace and security. Qassemi continued that Iran believes that nuclear weapon is religiously forbidden in terms of religious viewpoint and Supreme Leader’s ‘Fatwa’, and that nuclear weapons have no place in Iranian military doctrine. The Islamic Republic of Iran would press ahead with its peaceful nuclear program under the JCPOA which has been approved by the UN Security Council, Qassemi added. Nasrallah on Thursday called on Israel to “dismantle the Dimona nuclear reactor,” warning that it poses a threat to Israel’s existence if hit by Hezbollah ‘s missiles in any confrontation. Israel and Hezbollah battled to a stalemate during a monthlong war in the summer of 2006. The war broke out after Hezbollah gunmen crossed into Israel and captured two Israeli soldiers. The ensuing conflict killed about 1,200 Lebanese and 160 Israelis before ending in a United Nations-brokered cease-fire. “If Nasrallah dares to fire at the Israel homefront or at its national infrastructure, all of Lebanon will be hit,” Yisrael Katz, Israel’s Minister of Intelligence, said in response to Nasrallah’s threats. The Israel-Lebanon border has remained mostly quiet since the 2006 war but there have been sporadic outbursts of violence. “Israel is continuing to launch threats against Lebanon and speak of the third Lebanon war and of what it will do during this third war… This intimidation is not new and it seems that there is a permanent Israeli objective to pressure the resistance community in Lebanon, and after (Donald) Trump was elected U.S. president, this intimidation has returned,” said Nasrallah in a televised speech commemorating Hezbollah ‘s slain leaders. “We’ve been hearing these threats since the end of the July 2006 war. Every other day we hear statements about the third Lebanon war and about the coming vengeance. The new threats are based on the election of Trump, but the policy of the new American administration in the region is not clear,” Nasrallah added. “Trump’s election does not scare us, even if claims that he will give (Israeli Prime Minister Benjamin) Netanyahu the green light to wage a war on Lebanon turn out to be true, seeing as the issue of war on Lebanon is not hinging on the American permission,” Hezbollah ‘s chief noted. “The issue is not about the U.S. permission or the Arab cover but rather whether or not they will be able to achieve a victory. This is the main question,” Nasrallah pointed out. Commenting on an Israeli court’s order that an ammonia tank in the northern city of Haifa be emptied of its toxic content, Nasrallah also advised Israel to “dismantle the Dimona nuclear reactor,” warning that it poses a threat to Israel’s very existence if hit by his group’s missiles. “Had it not been for the Syrian army’s fighting on the ground in Syria, it would not have been able to achieve decisive victory,” he noted. “I tell the enemy’s leaders that they would be mistaken if they think that they have enough information about the resistance, seeing as we always have hidden surprises, which is part of our strategy and military creed,” Nasrallah warned. The Environmental Protection Administration (EPA) said Thursday that sea walls will be built to protect the country’s No. 3 nuclear power plant from tsunamis. The move is part of the plan to eventually decommission the No. 1 plant in New Taipei City. The No. 3 plant is located on Taiwan’s southern coast in Pingtung County. The Atomic Energy Council (AEC) is also evaluating whether to build sea walls around the No. 1 and No. 2 nuclear plants. Both plants are on the country’s northern coast. In related news, the AEC announced on Wednesday the results of an evaluation of how to deal with 100,000 containers of nuclear waste on the offshore Lanyu Island, also known as Orchid Island. The AEC said it will take a minimum of nine years to remove the waste. The council has asked the state-run Taiwan Power Company to communicate with local residents on the matter. …….. after another grim week for the nuclear industry, it seems those stickers may have been right after all. …….. Even the eye-watering guarantee from the UK taxpayer for Hinkley Point C is not enough to cover the risk that building it will bankrupt EDF. Toshiba’s woes have claimed the scalp of its president. ……… but the combination of ever-rising safety demands and cheap hydrocarbons has destroyed its economics. Appealing for fresh state aid looks like a desperate last throw of the nuclear dice. If an industry cannot finance its own projects after half a century of development, it may be time to try another industry. Fortunately, other industries are available. The cheapest and quickest fix is to build gas-fired power stations, …….Unfortunately, the artificial barriers imposed by today’s energy policy are preventing this subsidy-free solution. For the longer term, the price of solar energy continues to fall and smart meters that really are smart will start managing the demand side of the equation. Even offshore wind looks a better bet than nuclear as battery technology evolves. Instead, we have a cat’s cradle of subsidies to generate electricity and, through grants for electric cars, subsidies to use more of it. This was self-evidently stupid, even before the impact of the seismic changes across the Atlantic, ……… Abandoning nuclear means facing reality on the likely path of future carbon dioxide emissions………………. So, Rolls-Royce. A £4.6bn loss and an unchanged dividend. Something wrong here, surely? Aren’t dividends supposed to reflect what the company earns, rather than some sort of semi-obligation? Ah well, you see, £4.4bn of the loss is a writedown of currency hedging, not cash at all, merely a bookkeeping exercise to trim the hedges to their market height after the fall in sterling. It’s as if you had to set a fall in the value of your house against your income. The accounting rules oblige Rolls to do this and thus, as the profit and loss account becomes more and more accurate, it means less and less. OSAKA – Toshiba’s announcement that it will write down nearly ¥712.5 billion in losses involving its U.S. nuclear unit, Westinghouse, is seen as a major setback for the government’s strategy of selling Japanese nuclear power technology abroad. Over the past four years, Prime Minister Shinzo Abe, the Ministry of Economy, Trade, and Industry, and nuclear power players, such as Toshiba/Westinghouse, General Electric-Hitachi and Mitsubishi Heavy Industries, have promoted Japanese nuclear reactor technology worldwide. Attempts to increase exports came even as concern within Japan grew over nuclear safety following a triple meltdown at the Fukushima No. 1 plant in the wake of the March 11, 2011 earthquake and tsunami. The efforts also came as questions were being raised about the total cost of nuclear power compared with other energy sources. Japanese firms have attempted, with little success, to sell their technologies in countries as diverse as France, Vietnam, India, Turkey, Hungary, Poland, Slovakia, the Czech Republic and the United Arab Emirates. In June 2016, Toshiba said its goal was to win orders for 45 or more nuclear reactors overseas by 2030. But Tuesday’s announcement by Toshiba came a few weeks after the company announced it would not take any new construction orders for nuclear reactors, and that it would focus instead on maintenance and decommissioning operations. That decision effectively ended a decade-long effort by Toshiba, which began when it acquired a majority stake in Westinghouse in 2006, to make nuclear reactors a viable export business. It follows greater than projected construction costs for four Westinghouse AP1000 next-generation nuclear reactors in the U.S. that have run billions of dollars over budget and are three years behind schedule. Original plans called for their startup around 2019 but that could be delayed. Yoshimitsu Kobayashi, chairman of the Japan Association of Corporate Executives, told reporters at a regular news conference on Tuesday that promoting nuclear reactor exports was a necessary strategy, but one that needed to be reviewed. “The nuclear power industry requires huge amounts of money for safety,” Kobayashi said. “Given such high costs, we have to think about whether just one company can succeed. We have to keep strong technology in Japan, but we need to rethink how to create a union of private firms” in the nuclear business, he said. But with Toshiba’s problems and the growing use worldwide of other, cheaper energy sources, including some renewables, anti-nuclear groups see an opportunity for Japan to change its basic policy. “The Japanese government’s nuclear export policy was built on a combination of a poor understanding of the global energy market and self-delusion, said Shaun Burnie, a senior nuclear specialist at Greenpeace Germany who is currently based in Japan. What appears to be a lump of melted nuclear fuel is discernible in a photo, released late last month, of the interior of the crippled No. 2 reactor at the Fukushima No. 1 nuclear power plant. The robot is marked with the name TOSHIBA. While leading the nation in the dismantling of nuclear reactors, Toshiba Corp. has aggressively pursued nuclear power plant construction overseas through its U.S. affiliate. But on Feb. 14, the company announced a projected loss of 712.5 billion yen ($6.3 billion) in its nuclear business. To survive, Toshiba will have to sell off its profitable businesses piecemeal. To be sure, the company is in for massive restructuring. The 2011 nuclear accident at the Fukushima plant was one of the indirect causes of Toshiba’s losses. Around the world, tighter regulations have been applied to nuclear power plants because of safety concerns, and Toshiba’s four nuclear plant construction projects in the United States became far more costly than anticipated. The company has only itself to blame for underestimating the consequences of the Fukushima disaster. I dropped in at the Toshiba Science Museum in Kawasaki, Kanagawa Prefecture, the other day. Its impressive array of exhibits included Japan’s first electric refrigerator, washing machine and vacuum cleaner. There was even a portable personal computer, said to be the first of its kind in the world. Once a prestigious corporation that boasted cutting-edge technology, I wonder how long Toshiba’s decline will continue. Overseas, Siemens AG of Germany withdrew from the nuclear business after the Fukushima accident, and France’s Areva SA is said to be struggling. Toshiba’s massive losses remind us anew that the end is drawing near on the era of lucrative nuclear businesses. A long, tough road lies ahead for the decommissioning of Fukushima’s nuclear reactors. I feel for Toshiba workers who are engaged in this task while their company languishes. It will soon be six years since the Fukushima disaster. The days of having to confront the gravity of that accident are far from over. Tepco released a new image of the reactor 2: at least three holes in the platform and still no corium. The platform is made of metal (grating), just below the tank, intended to access the control rods. The bottom of the containment is a little over 3 m below. The operator of the crippled Fukushima Daiichi nuclear power plant says it suspended a survey by a robot at one of its reactors after the device stopped working. Tokyo Electric Power Company, or TEPCO, sent the scorpion-shaped robot into the containment vessel of the plant’s No. 2 reactor on Thursday. The company believes fuel in the reactor melted through its core during the 2011 accident and accumulated at the bottom of the facility’s containment vessel. The survey was aimed at getting a close look at what could be fuel debris — a mixture of nuclear fuel and melted parts of the reactor. The robot was also expected to measure radiation and temperatures there to gather data for scrapping the reactor. TEPCO officials say the device was advancing on a metal rail leading to a central area below the reactor’s core, but stopped moving before it could reach the center. The officials say they decided to give up the robot and cut its remote-control cable. TEPCO plans to analyze data collected by the robot and figure out how to carry out future probes. The operator of the crisis-hit Fukushima Daiichi nuclear power plant said Thursday its attempt to take a close look at the crippled No. 2 reactor using a scorpion-shaped robot ended in failure due to a technical flaw. A track glitch meant the self-propelled robot was unable to climb over obstacles, Tokyo Electric Power Company Holdings Inc. said. It gave up on retrieving the robot by cutting its remote control cables. TEPCO, however, said, “We have received new important information about the radiation level and temperature inside the (reactor) containment vessel,” emphasizing it did not view Thursday’s survey as a failure. A renewed attempt to survey reactor 2 at the damaged Fukushima No. 1 nuclear power plant failed Thursday when the latest robot probe became obstructed. The robot was inserted into the primary containment vessel at around 7:50 a.m. to approach the metal grating directly underneath the pressure vessel, where a black mass has been found. Tokyo Electric Power Company Holdings Inc. had hoped to take a closer look at what could be melted nuclear fuel, but it was forced to abandon the operation shortly after 3 p.m. The robot didn’t reach its objective, Tepco said, and the utility eventually severed its controller cable. Having detected an extraordinarily high radiation level —estimated at 650 sieverts per hour — in a preparatory survey, Tepco had hoped to obtain more precise readings, images and data needed to remove fuel and other debris to decommission the plant. In previous surveys, the utility found deposits on the grating believed to be nuclear debris and a 1-sq.-meter hole believed to have been created by molten fuel escaping from the pressure vessel. Challenges dogged the latest attempt from the start. There was little clear surface for the robot to move around, and the radiation could kill the unit as with the preliminary surveys. Next month, Tepco plans to survey the No. 1 reactor. TEPCO and its partners launched a communication operation about the “scorpion” robot, which will be sent to the containment reactor of reactor n ° 2 in an attempt to locate the corium, ie the highly radioactive molten fuel, mixed with debris. It is not certain that the mission will be a success, the cleaning robot having lasted only two hours in this enclosure because of the extreme radiations, without being able to finish its task. A press release announces what we already know and insists on the challenges: “every step is a new challenge for TEPCO, but TEPCo welcomes the challenges”. The company would be almost happy with the accident? It is accompanied by a promotional video with a comparison to the kendô fights posted on its Facebook page. The Japanese nuclear industry wants to place itself on the decommissioning market and highlights the technologies being developed. This robot was designed by IRID, Toshiba and TEPCO. IRID benefits from public funds. As for Toshiba, it is almost bankrupt because of its nuclear branch and TEPCO is financially in a bad shape. The press release and the video do not provide any relevant information and are in complete discrepancy with reality. Nuclear fuel in the Primary Containment vessel (PCV) was exposed to the air and melted from the impact of March 2011 Great Earthquake. As a result of the accident analysis, it was found that a portion of melted nuclear fuel might have been fallen inside the pedestal. To remove fuel debris, it is necessary to investigate the PCV and clarify the conditions of debris and surrounding structures. To inspect conditions on the platform inside pedestal, fuel debris fallen to the CRD housing, and conditions of structures inside pedestal.